Yes, the sun will eventually burn out. But not for a long, long time. 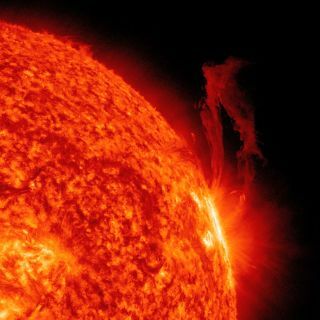 The sun has used up about half of its hydrogen fuel in the last 4.6 billion years, since its birth. It still has enough hydrogen to last about another 5 billion years. The temperature of the sun’s surface is about 10,340 degrees Fahrenheit (5,726 degrees Celsius). The sun burns using a nuclear fusion process, combining hydrogen into helium. When the sun runs out of hydrogen, it will fuse helium and other heavier elements until it runs out of fuel.